Supplier & Trader of Electronic Spare Parts. Our product range also comprises of Programmable Logic Controller, Control Equipment and Siemens AC Drive. 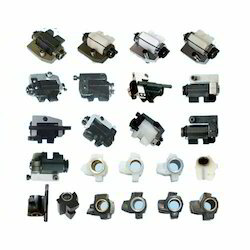 We are one of the leading suppliers, manufacturers and traders of optimum quality Electronic Spare Parts. Known for their dimensional accuracy, seamless finish and durable construction, these spare parts are manufactured by using advanced tools and equipment. In addition to this, these spare parts are available with us at completive pricing. Looking for Electronic Spare Parts ?